Most business owners who do their own books don’t do it because they love to do bookkeeping. They do it because they think they can’t afford a real bookkeeper, but little do they know they are wasting more of their money and time by doing it themselves when they would be better off using that time to run their company. Even though Xero makes bookkeeping so much more streamlined and real time – you still need someone to enter, check and reconcile data. 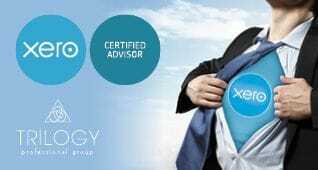 At Trilogy Professional Group we offer Xero Bookkeeping at very competitive rates. We either charge on a competitive hourly rate or choose one of our Xero Packages which include bookkeeping assistance.